Reading is fun and there is no doubt about it, but there are times when you would rather like to hear it out. I am talking about boring reports and other articles that you receive in your email in PDF format. They are not fun to read. They are boring and monotonous. Microsoft already includes different voices within their OS for those who are visibly impaired or blind. Why not use it to our benefit? Sometimes, we are too tired to read and would rather listen with our eyes closed. 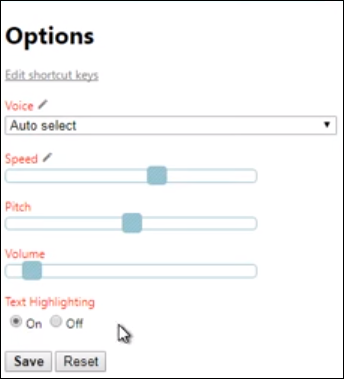 To change the default voice in Windows 10, go to Settings > Ease of Access > Narrator > Personalize Narrator’s voice, choose a new voice from the drop-down box. If you need more Windows Narrator voices, you’ll have to choose from third-party providers. 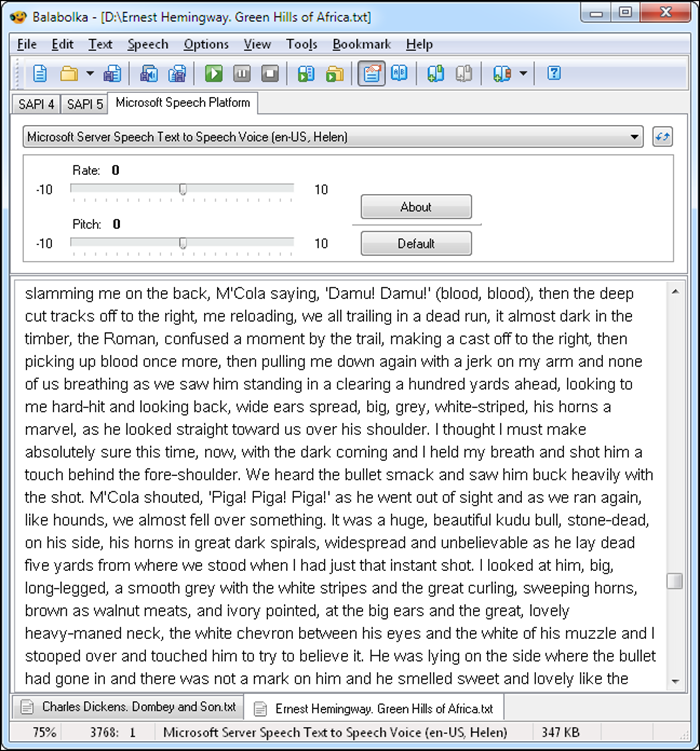 Today, I am going to share some PDF voice reader for Windows platform that will make your life that much easier. They will translate the text into voice and read it out to you, so you can multi-task and work on something else. A real time saver. Most people are using Adobe Acrobat Reader to read PDF documents on their Windows-powered machines. Chances are that you already have Adobe Reader installed on your PC but if not then you can download the latest version using the link below. Uncheck unnecessary addons accordingly. I don’t like McAfee much. Once you are done, open any PDF file that you want to be read to you, and it should open with Adobe Reader by default. If not, right-click and choose Open With option. Once the PDF is open, click on View and select Read Out Loud option at the bottom of the list. You will have to activate it there. You can also read the shortcut CTRL+SHIFT+Y. The feature is activated but how do you use it? Simple. Click on a paragraph and it will be read out to you. When Adobe is reading to you, ideally, you should see a progress bar somewhere in the middle but it didn’t pop up for me. While it gets the job done, the trouble is, I have to click on paragraphs once the machine is done reading it to me. To counter this problem, what you can do is go back to Settings. This time, you will see new options. You can have Adobe read the current page or the entire document. Memorize the shortcuts so you don’t have to mess around with options anymore. Natural Reader takes things to the next level. Not only can it convert text to audio, it can also do a lot of things like create audio files from PDF files. This means you can transfer these audio files on your mobile and play it while you go for your morning jog. You can control the speed and speaker settings. It works not only with PDF files but also Word, TXT, ePub and other formats. There is an online version that you can use to have it read entire web pages. This is really good for reading blogs and news stories. There are apps available for both Android and iOS platform. There are two different voices to choose from. Makes the experience more human in my opinion. For the purpose of this guide, I will be downloading the free version which is good enough. Additional features are available for a one time fee of $99.50. Natural Reader also offers a Commercial version of the product for a one-time payment of $129.50, and an Ultimate version for $199.50. 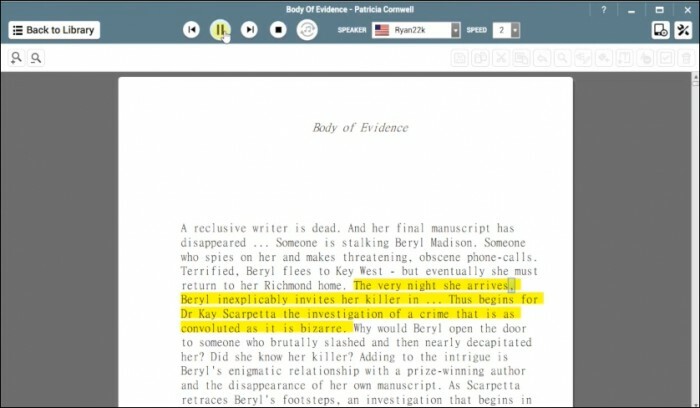 This adds support for OCR so you can convert printed text into digital text and then have it read to you. It will also allow you to do batch conversions. There are as many as 6 voices to choose from. There is an advanced pronunciation editor using which you can change the way a word sounds. You know, make it sound more human instead of machine-like. 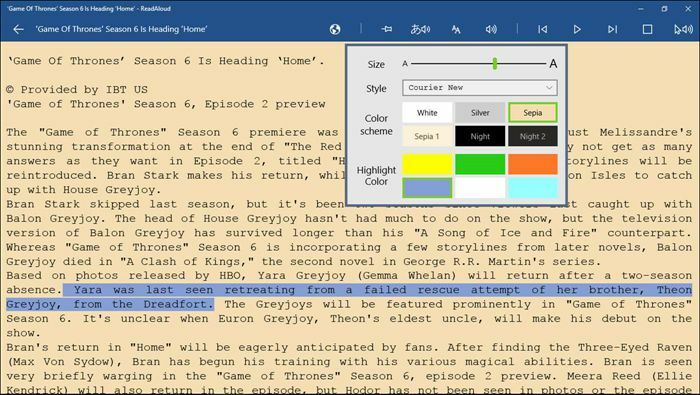 Natural Reader is one of the best PDF Voice Reader for Windows. Natural Reader is powerful and offers a lot of features but not free. Adobe Reader is free but fails to offer anything else except the basic reading options. Enter Read Aloud. This free software from the house of Microsoft that falls somewhere in between. 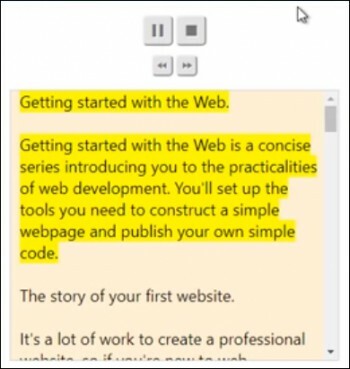 Read Aloud can read not only PDF files on your PC but it can also handle web pages, and a number of different formats like Word, Epub, TXT, DOCX, and more. If you are using Windows 10 and Edge browser, you can share files directly with the app. The settings will allow you to control volume, speed, pitch rate, fonts, and color scheme with the ability to create custom colors. 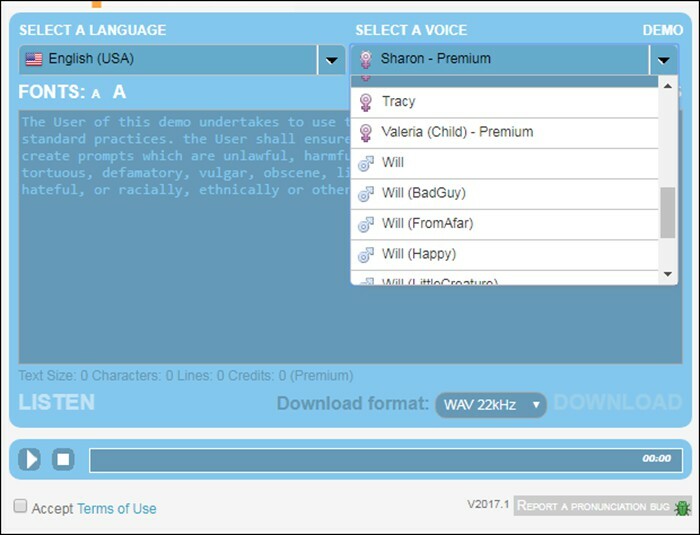 There is a pronunciation editor that you can use to change the way a word sounds. This gives you more control over the way Read Aloud looks, feels, and functions. It comes with an inbuilt dictionary and a clipboard manager to move text around and understand what they mean. Read Aloud is only available for Windows 10 users though. One thing that Read Aloud is missing is the ability to convert text in the PDF files to audio files and save it for later listening. This is where Power Text to Speech Reader comes in. Apart from allowing you to listen to your PDF files, you can also convert text to MP3 or WAV format. I can now carry it in a pen drive or upload to Drive. It also works with Windows 7 and 8 powered machines. There is a handy plugin available that will allow you to make it work with IE. Edge, as you know, is only available on Windows 10 onwards. There is also support for email format (EML) and RTF along with HTML and Doc. This matters because if I receive a long email, I can use it to listen to the whole thing instead of reading it. As far as voice support is concerned, there are more than a dozen voices to choose from which brings it in level with Natural Reader. The UI is rather too bland and basic but gets the job done. 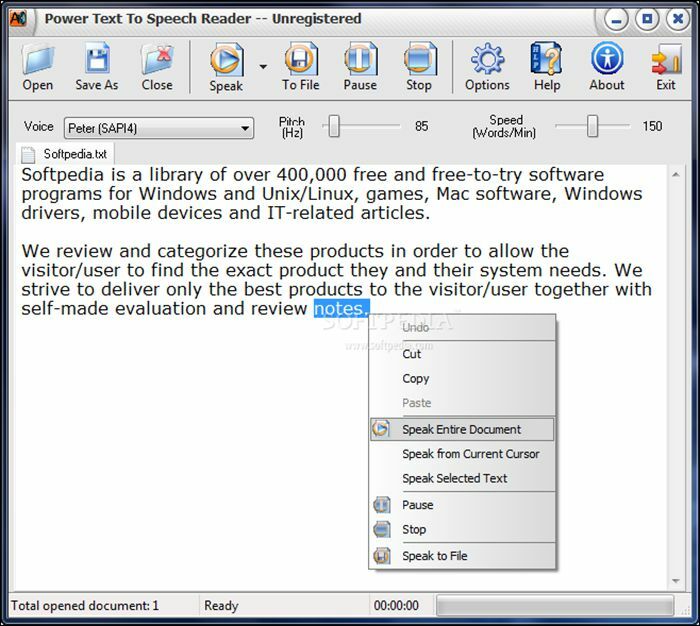 Another free Text-To-Speech (TTS) program that will help you listen to your PDF files while you are working on other things. Balabolka can convert and save PDF files into audio formats like MP3, MP4, OGG, and WMA. This means more options. Balabolka supports the maximum number of file formats I have seen in any TTS software so far. 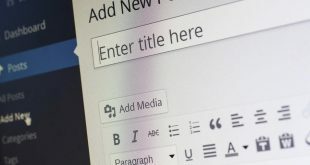 Here is a short list but I have only tried PDF: AZW, AZW3, CHM, DjVu, DOC, DOCX, EML, EPUB, FB2, HTML, LIT, MOBI, ODS, ODT, PDB, PRC, PDF, RTF, TCR, WPD, XLS, XLSX. There is a portable version available that you can install in a pen drive and carry around. 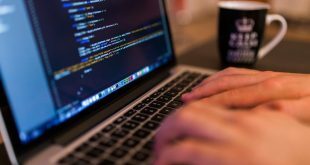 Good for people who are constantly traveling or find themselves using different computers. I installed it on a pen drive and used on my laptop. 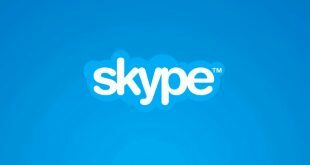 There is support for different languages and voices (8 using SAPI 4 by Microsoft) both. There is a skin pack available to change the way UI looks, plus you can change fonts and colors. You can change pitch and rate too. No, this was not developed by Microsoft as the software that I shared above. This is a 3rd party extension for Chrome that will allow you to listen to PDF files on the web without having to download them to your PC. Install the extension like any other. When you click on the icon, you will see something like in the above screenshot. Choose your language and voice, desired speed and pitch as well as volume. Now, when you click on the icon again while you are on a page, it will begin translating text to voice and you will see the following screen instead. You can pause or stop whenever you want. Really simple. This is not to say that it won’t work for local PDF files. To play the PDF file form your hard drive, simply drag and drop them to the chrome browser and click on the extension, and that’s it. The extension is light-weight and would help you when you receive PDF files in your Gmail or Outlook. This is a bare-bones tool with little to no additional features. It does offer a number of voices to choose from which will make the experience more human. Like the previous one, Acapelabox is not a Windows tool, instead it’s an online website. The reason it made into the list is because of the free language options it comes with. If you are comfortable with the idea of copying and pasting the contents of the PDF file online, Acapelabox is a small tool that will convert text to voice in no time. The UI is simple, it is ad-free, and comes with more voices that you know what to do with. This is good for those who are looking for different accents as some foreign accents can be difficult to understand. There are also voices of an old name, a bad guy, and a child. The last one is a premium feature but fun to hear. Makes boring reports easy. If you don’t want anything fancy and just get it done and over with, Adobe Reader is a good option. You can have it read PDF files page-wise or entire file. If you want advanced features, I would recommend Balabolka which offers a lot for free. If you can afford a paid software and want good support, or maybe need a commercial version and need additional features, Natural Reader will serve you well.